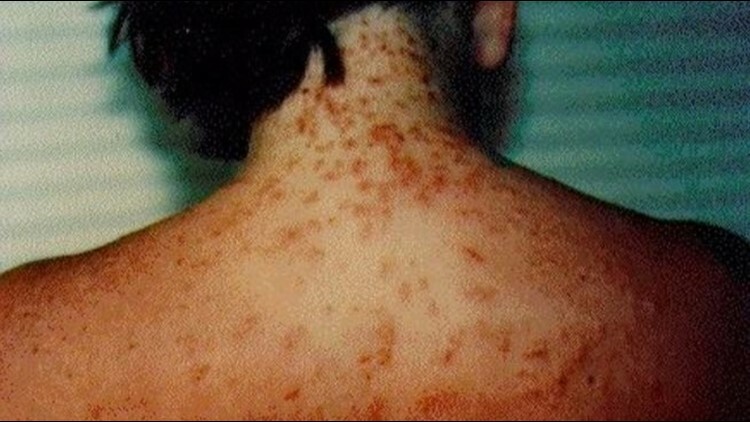 Lesions associated with seabather's eruption or sea lice. Extended areas of rash may be caused by larvae trapped by wearing a T-shirt in the ocean, or in areas of exposed skin. Florida beaches commonly experience bouts of sea lice as area waters warm. Pensacola Beach lifeguards posted purple flags early Tuesday to warn visitors about stinging sea lice. Dave Greenwood, director of public safety for the beach, said sea lice are tiny jellyfish larvae and jellyfish cells. Greenwood said the lice can mildly irritate a swimmer's skin. "They aren't very intense, which is why we call them sea lice and not sea hornets or sea wasps," he said. Sea lice are common on area beaches during the summer as the waters warm, he said. Sea lice cannot live outside of the warm saltwater and do not remain on a swimmer's body after they leave the water, he said. "It's just one of those you have to deal with when you go into the Gulf of Mexico," he said. "You are a land animal and the Gulf is not our native environment." Purple flags, which warn visitors about the presence of dangerous marine life, were flying with green flags, signaling calm waters, on Tuesday morning. Greenwood said lifeguards would check the waters throughout the day and take down the purple flag when the sea lice dissipate.